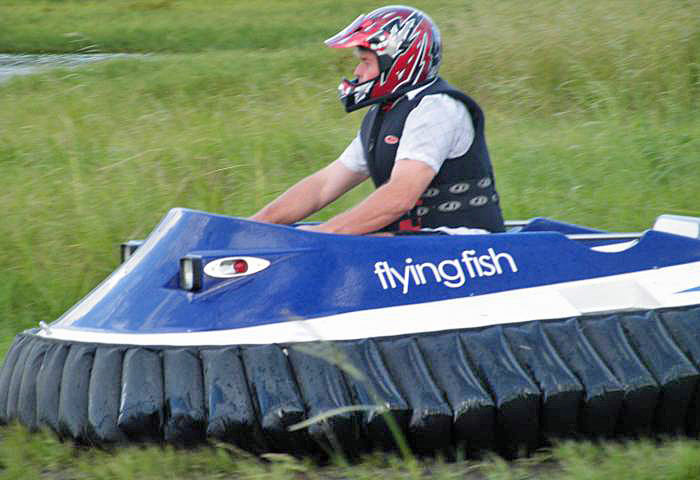 Leaderboard Challenge - Flying Fish Hovercraft - Sunday 6th March 2011. 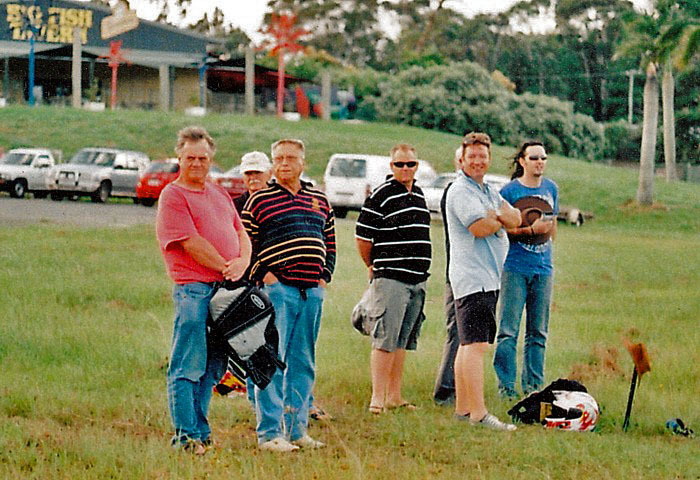 For the club visit we had a total of 21 people at the Flying Fish Challenge. 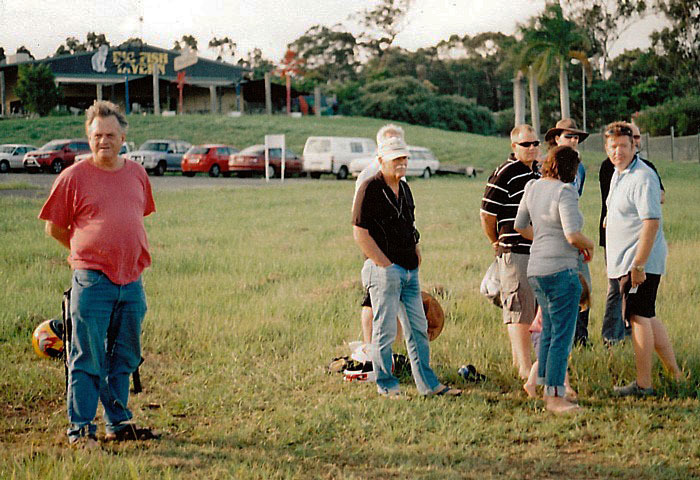 Peter & Elaine Venn, David, Anna & Thomas Venn, Arthur & Judy Stead, Rod & Caryl Jensen, Angus Kerr & Anne, Des Goss, Dale Baxter, Alan Harm, John Lee, Dan Logovik, Rita Chaffey, Steven Odgaard and our hosts, Russ, Emma & Hetty Pullen. 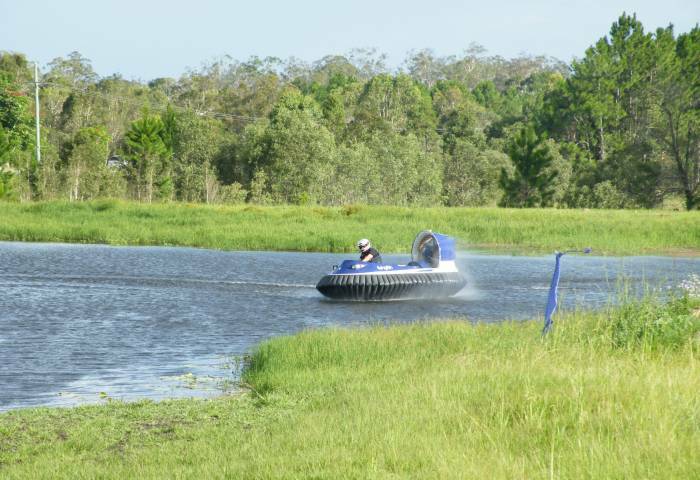 We had a fun afternoon on the single craft circuit at the Flying Fish next door to the Big Fish Tavern. 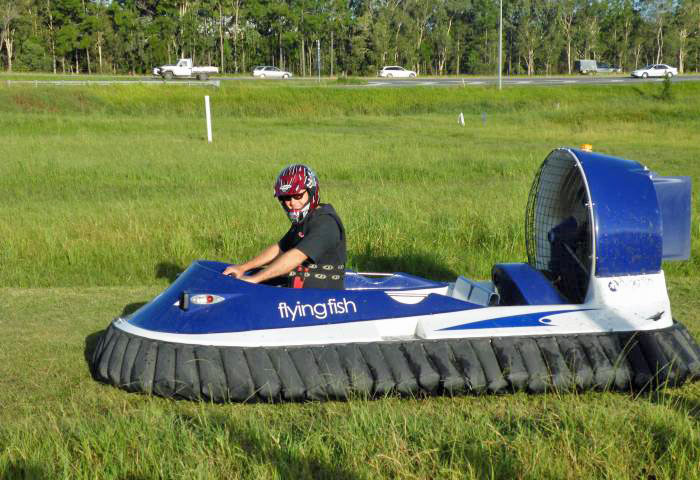 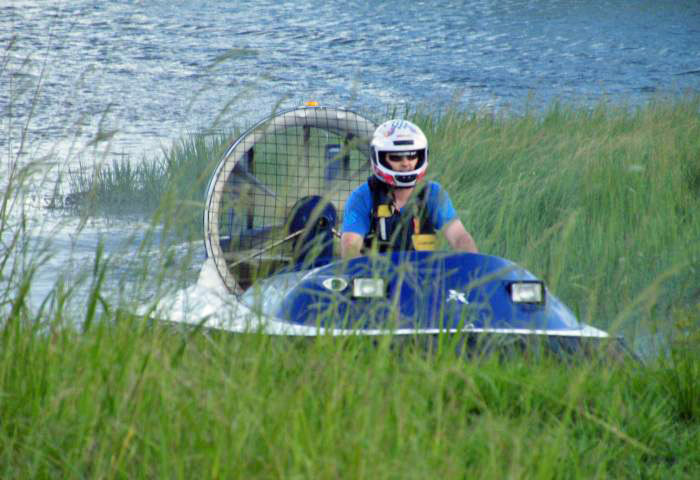 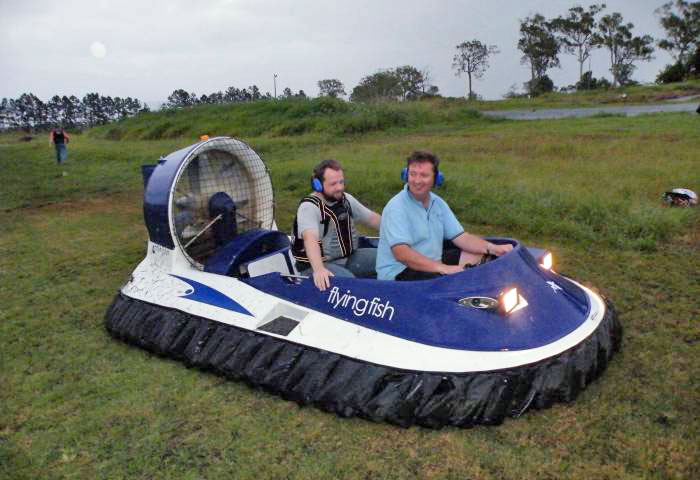 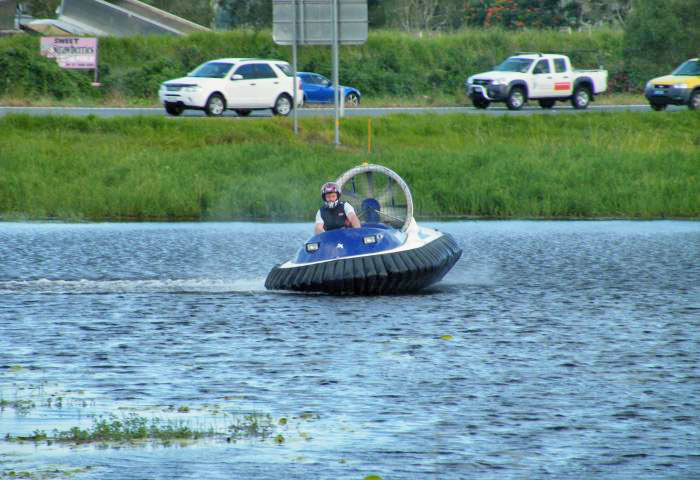 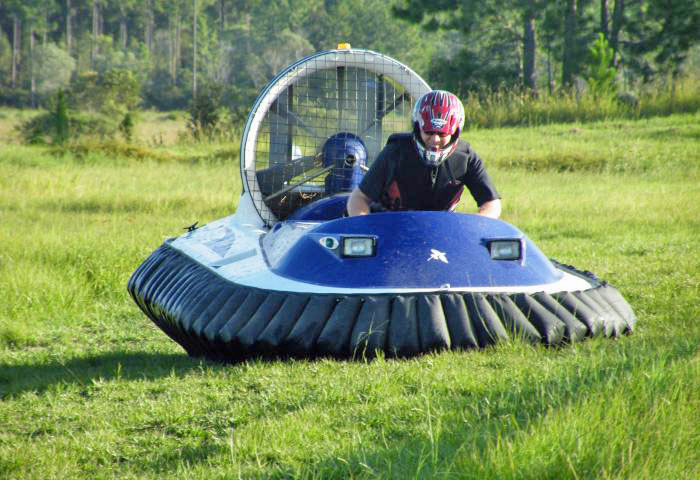 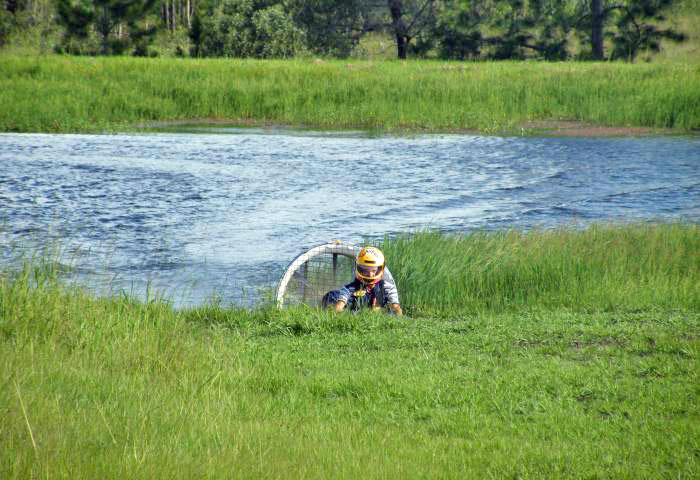 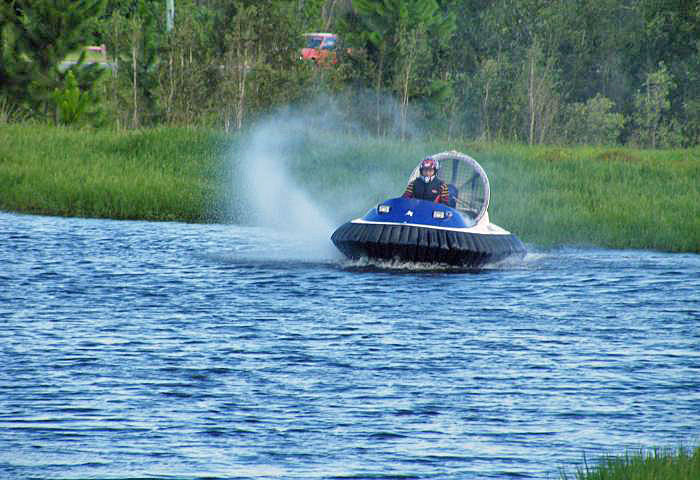 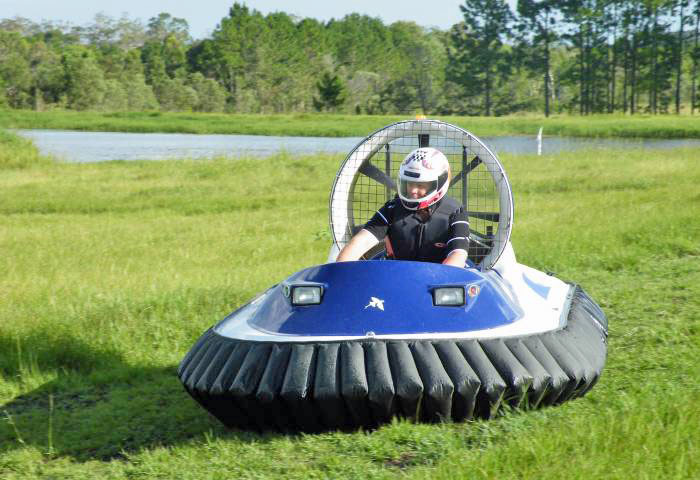 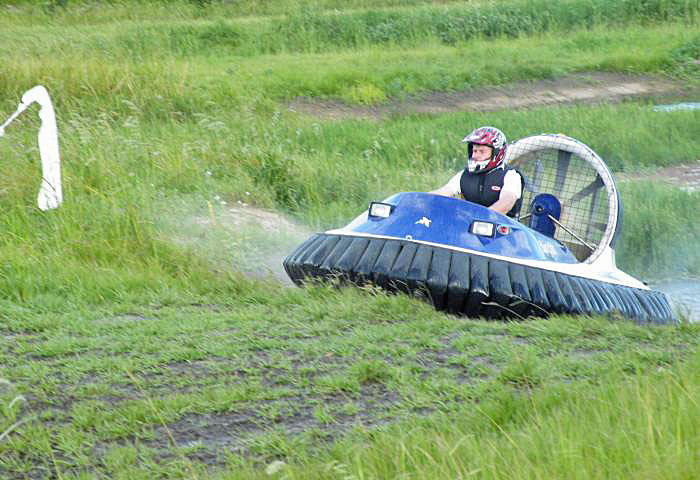 Russ and Emma have set up a hovercraft fun track beside the Bruce Highway on the disused go-cart track north of Caboolture. 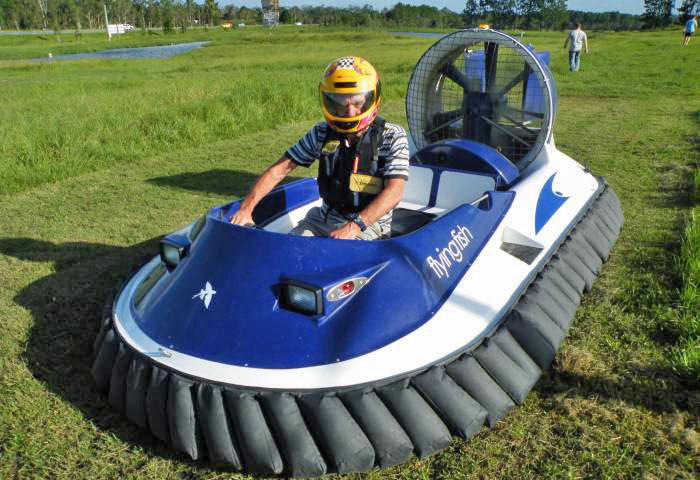 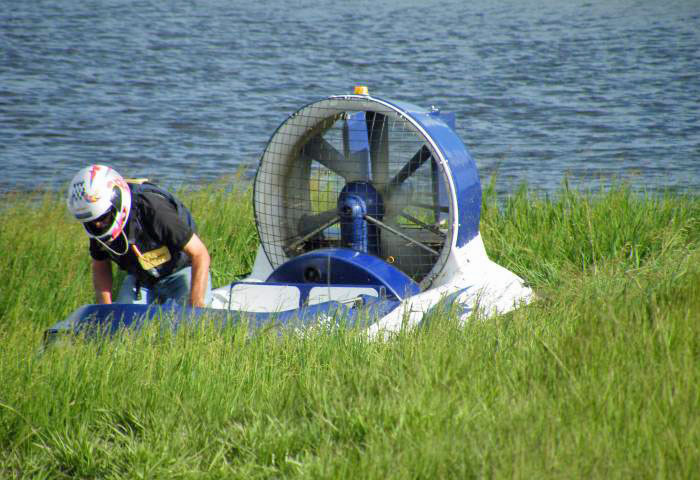 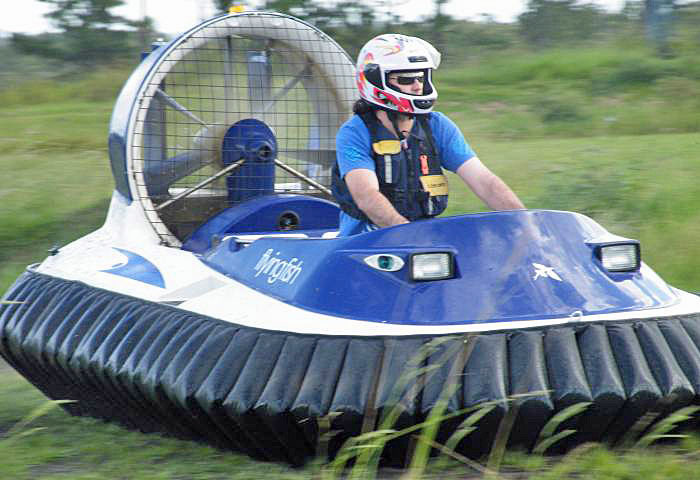 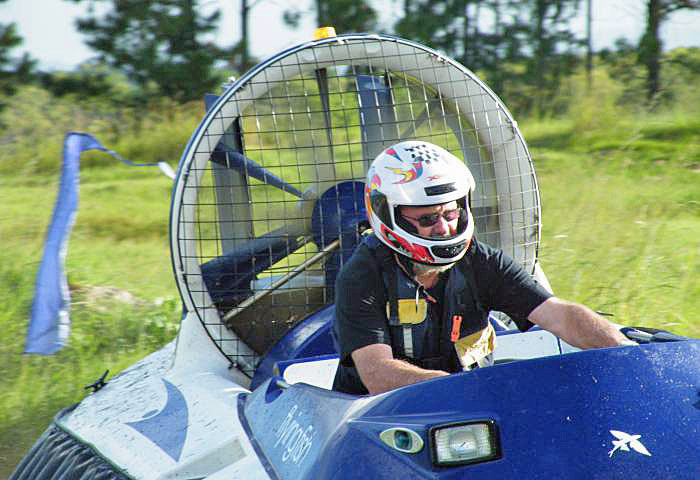 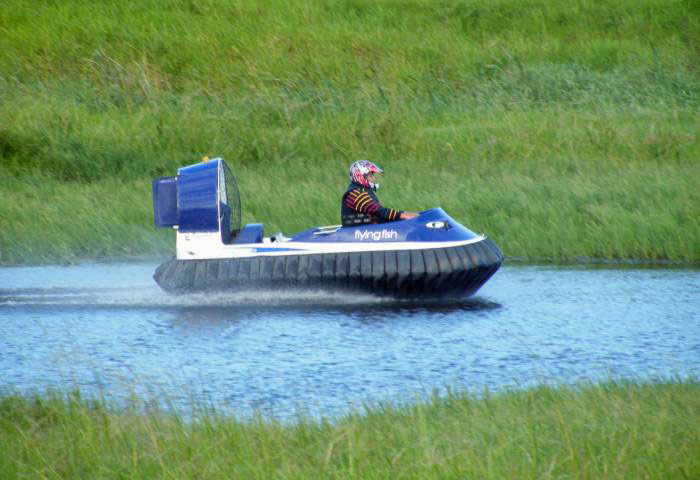 Each participant had a 3 lap trial in turn to get the feel of the 3.1m Flying Fish Marlin Hovercraft, then Russ timed everyone on a two lap test. 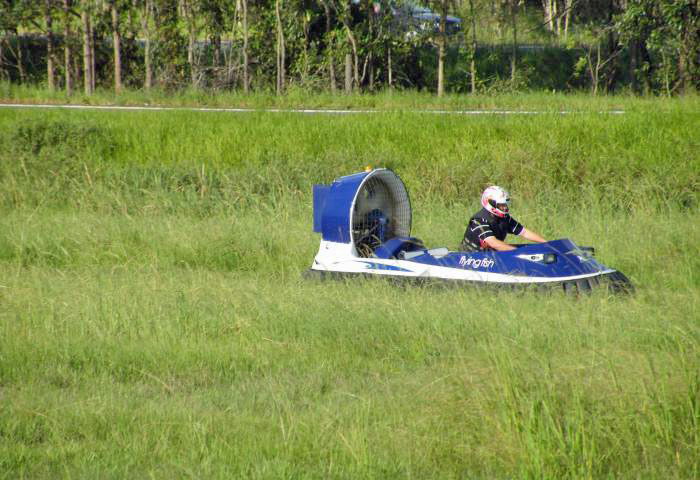 Arthur Stead drifts in a wide loop around the island . . .